Huna (which was originally called Ho’Omana”) is a theory of physics set down by New Age author Ma Freedom Long in the 1900s. In this way, Huna meditations are similar to Taoist meditation techniques. For millenia, these Huna meditation techniques were maintained by the Kahuna, spiritual advisers, who were “keepers of the secret”. But in the 1900s, Max Freedom Long discovered the secret and revealed the methods of the kahuna in his now famous books. In 1917 Max Freedom Long went to Hawaii, where he began working as an elementary school teacher. It was then that he first became interested in the religious practices of the Kahunas (1), spiritual advisers who were “keepers of the secret”. It was these Kahunas who would eventually give Max Freedom Long his theory of physics, which he wrote in his books. At this time, however, none of the Kahuna’s would speak to Long so he was unable to learn about the religion. It wasn’t until 1934 that Max Freedom Long began to understand the religions oh Hawaii. He learnt that the Kahuna religion was encoded in the Hawaiian language. And so he began studying the connection between Hawaiian and the Kahuna religion. He set down his discoveries in his first book, published in 1936. 1965’s The Huna Codes in Religions [Amazon]. The latter book compares Huna to Buddhism, Christianity and other religions. So this is a good read if want to learn Buddhist meditation styles. 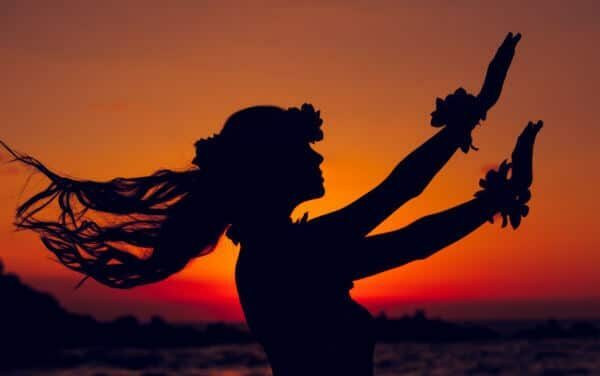 What are the Huna Beliefs? Huna offer us different styles of self healing meditations. Huna is all about living in harmony with the three levels of consciousness. By knowing and understanding these three selves we can heal the body and mind and we can be successful in life. The guiding principle of the Huna is similar to Buddhism. It is our thoughts are control our reality. And true power comes from controlling consciousness. In order to live in harmony with the three selves, we must understand the seven principles. KALA: The world is beyond limits. As you can see, there are a lot of similarities between this and other spiritual systems. The idea that reality is the product of the mind, that what we focus on grows, and that we must live in the moment… many of these are familiar Buddhist wisdoms. Much like Buddhism Huna teaches us to live in the moment, to be mindful, to take control of our thoughts and perceptions, and to understand that love and compassion will lead to happiness. And Huna teaches, as Buddha did, that true power lies within ourselves. One of the main ways to access that power and to control Mana, is by practicing Huna meditation techniques. Decide on what you want the outcome of a prayer to be. For example, health, happiness etc. Address your prayer to whichever god you believe in ( for example, Christ, Buddha, the Ascended Masters). Lovingly ask your conscious mind to take the prayer to the god or master you are praying to. Visualise your prayer being sent upwards through your crown chakra towards heaven / the sky. Listen for a response from your god / deity. Another powerful Huna meditation is to use the Ho’oponopono mantra for forgiveness, which you can read about in my tutorial on forgiveness.